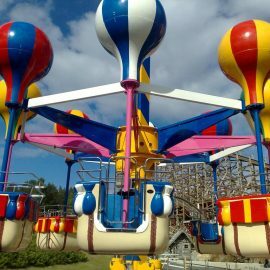 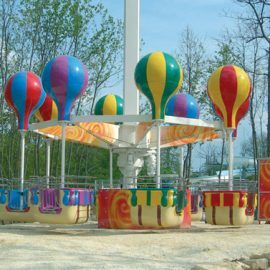 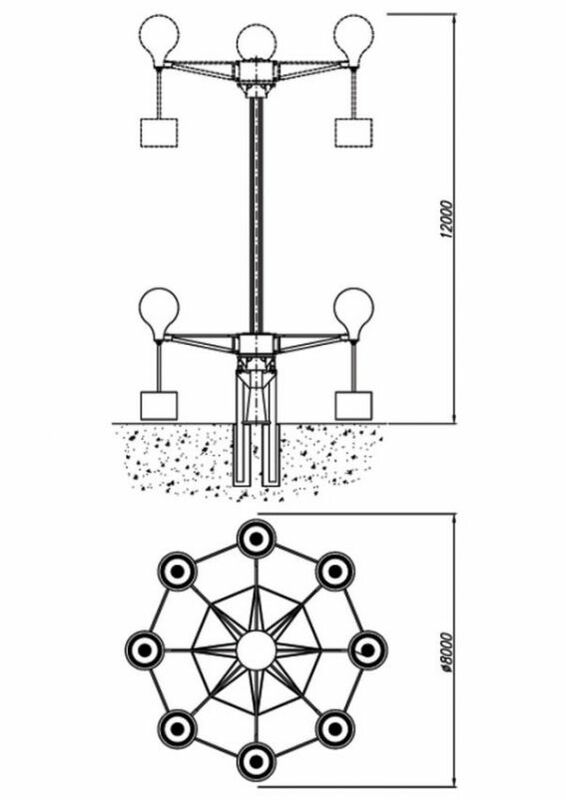 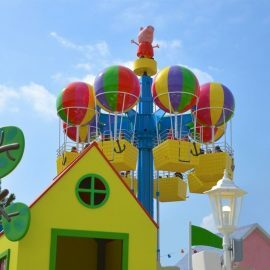 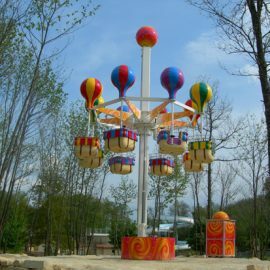 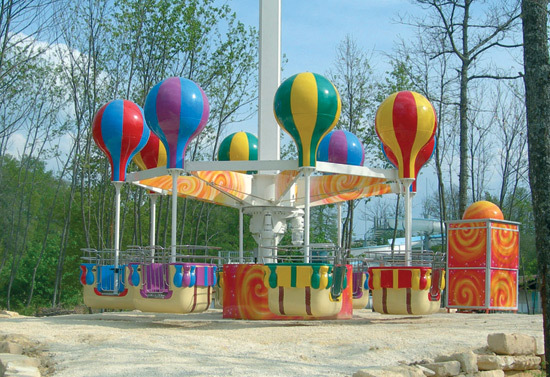 The Balloon Tower consists in a column with a raising crown which rotates either in a clockwise and counter-clockwise direction it bears 8 balloon shaped gondolas. 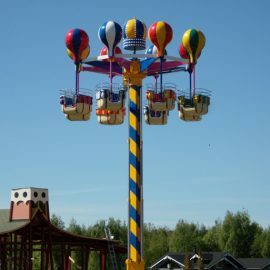 Each gondolas loads 4 passengers and raises about 12 m. from the ground. 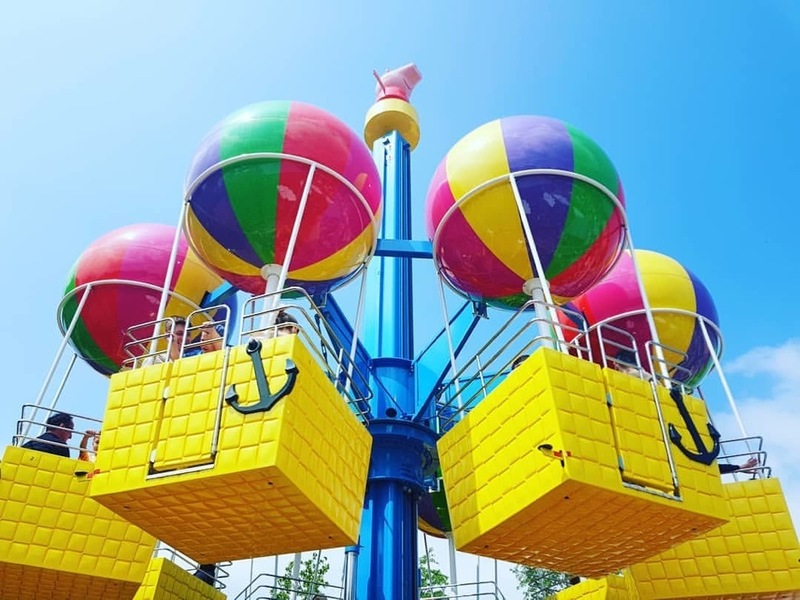 A panoramic tower like this is the perfect solution to offer a spectacular view in the middle of a park saving in footprint. 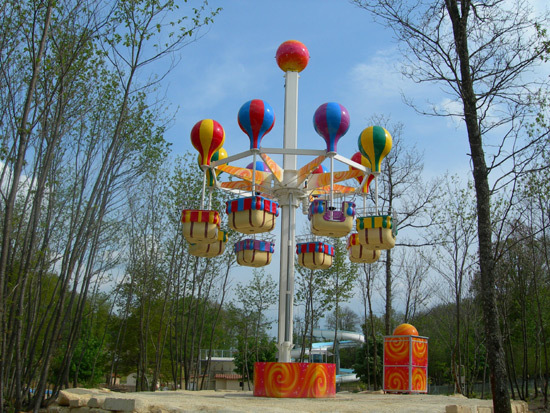 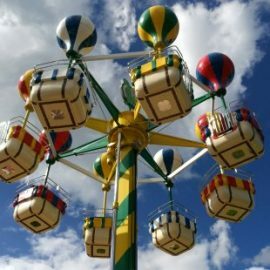 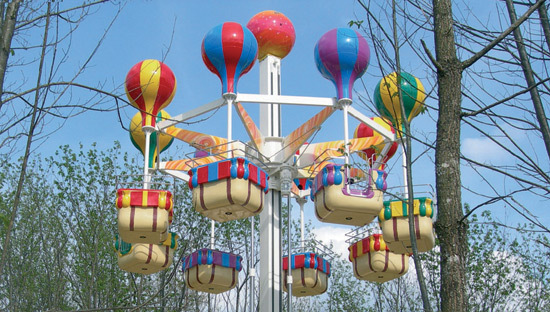 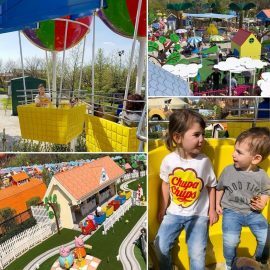 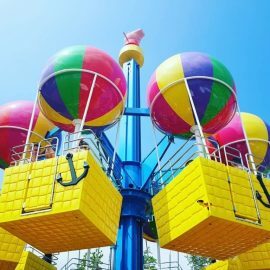 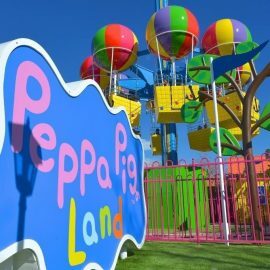 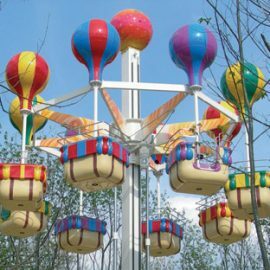 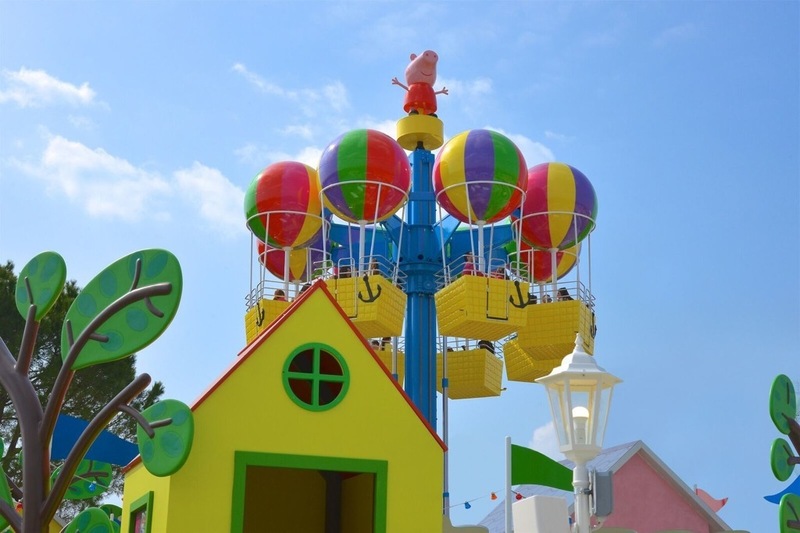 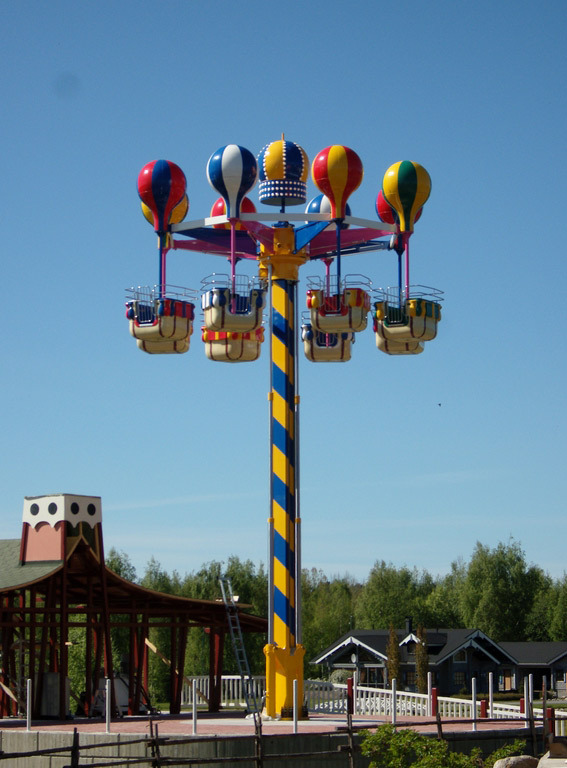 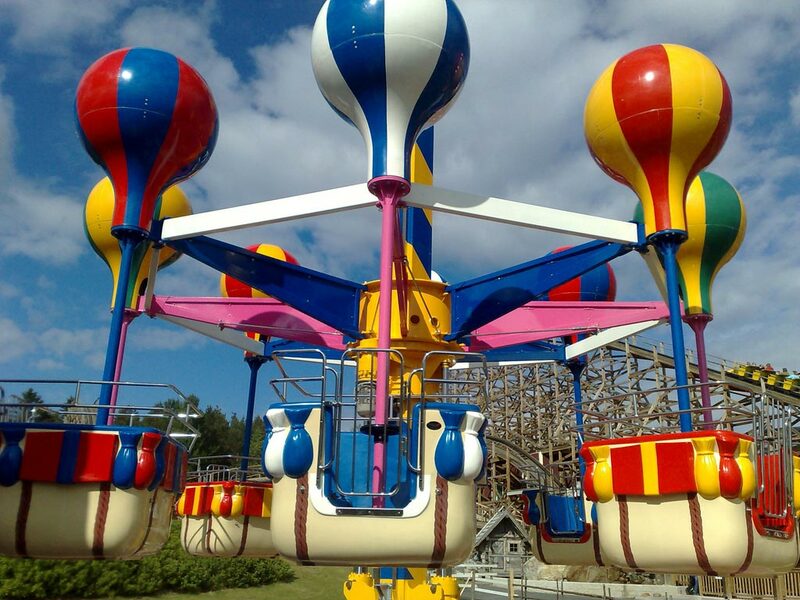 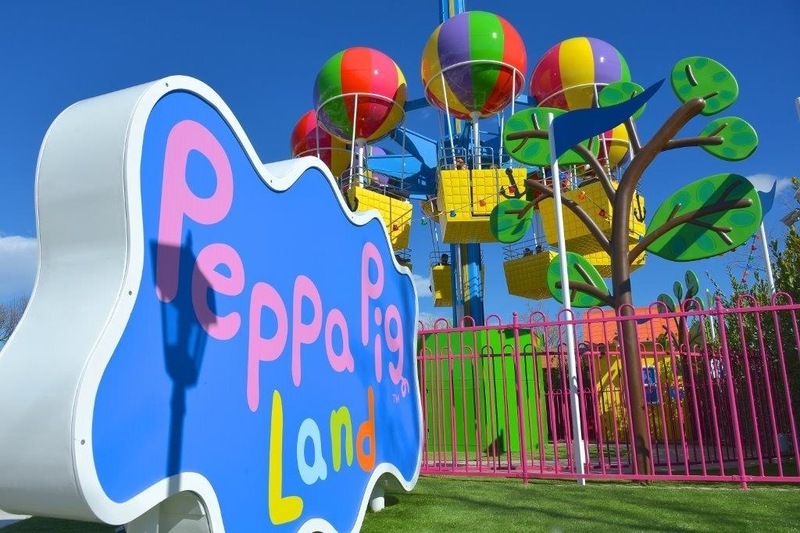 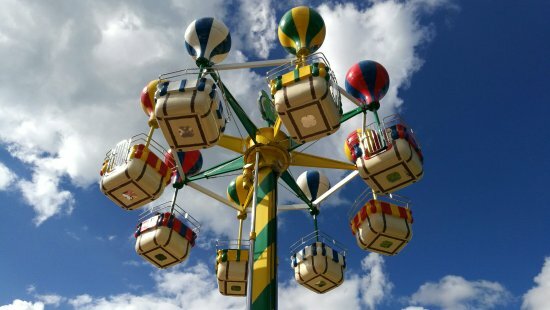 The hot air balloon shaped gondolas appearing on the sky will attract all the kids.